ELLENSBURG, WA (October 22, 2018) – Iron Horse Brewery is pleased to present a limited series local photography exhibition “Sportsballing” at [ the pub ] during the First Friday Art Walk on Nov. 2. The exhibition is a close examination of rural america through the lens of an independent craft brewery and the influence on sportsball in today’s world. The creators are the artists which is a deliberate attempt to highlight the juxtaposition between man and object attempting to transcend itself. The artwork will remain on display throughout the month of November or maybe it won’t. Local photographer and visual storyteller, Linda Hamilton of Photonuvo in Ellensburg, worked to create striking images, capturing a story of intensity, extremity and sweat. Iron Horse Brewery post-processing crackerjack Jared Vallejo then clicked “filter to black and white” to create dark dramatic layers to the photos to strengthen the effect. The results of their work surprised even the artists themselves. Sportsballing aims to contextualize sports in the modern era. The exhibition explores the definition of sport as some of the images featured are not ones that traditionally make their way onto the weekly ESPN highlight reels. Show us how much you love sportsballing by joining us at [ the pub ] for a series of activities during the First Friday Art Walk on Nov. 2. Starting at 5 p.m. people can show their inner athlete by playing water pong or horseshoes, taking photos in our sportsy photobooth, or making their own ribbon for ribbon dancing. Single run prints of the collection will be autographed by the cousins and will be available for purchase. We will have copies of the 2019 Iron Horse Brewery calendar for sale for art collectors on a budget. Purchase a calendar and a pint of beer at [ the pub ] for $16 on Friday, Nov. 2nd. Proceeds from the sale of the artwork will go toward purchasing socks for people who email ineedsocks@ironhorsebrewery.com. Limit of one pair of socks per Ellensburg household while supplies last. 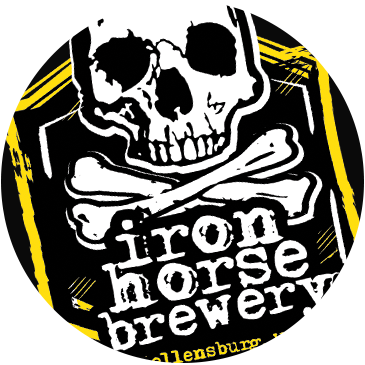 Iron Horse Brewery is a company that spreads the magic of indie beer and fuels creativity. While our number one focus is beer, art is always on our minds whether it’s designing a brand label or making a shirt that you will win at a pint night and then wear for years to come. You will find we have many secret artists at the brewery. To learn more about our cousins or the company visit, www.ironhorsebrewery.com. “It’s moist,” said one art expert about the exhibition.